Its that time of year where we enjoy showing you the lovely people and venues we have seen during 2013 and look forward to the great things we’ll be doing during 2014! It was a great start to the year with a new album supplier, which you will see as you look through the year. We have travelled to lots of new venues, which were a delight to explore and also some old favourites! Here’s to our customers old and new, have a great 2014. Early this year I was lucky enough to be invited onto a very selective photography mentoring course run by Damian McGillicuddy from his Oakbase Studios in Chester. 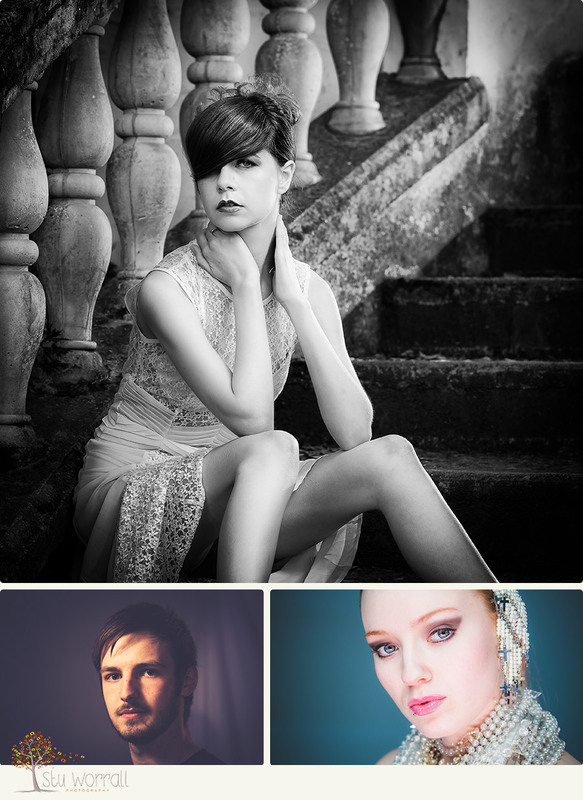 Damian was named as the principle photographer and educator at Olympus UK during 2013 so to be educated by someone with his (and his teams) experience was an amazing opportunity which has has seen me expand on my lighting and posing skills over this year. Professional photographers should always be looking to improve themselves so its onward and upwards this year to hone and advance my existing skills of using light. 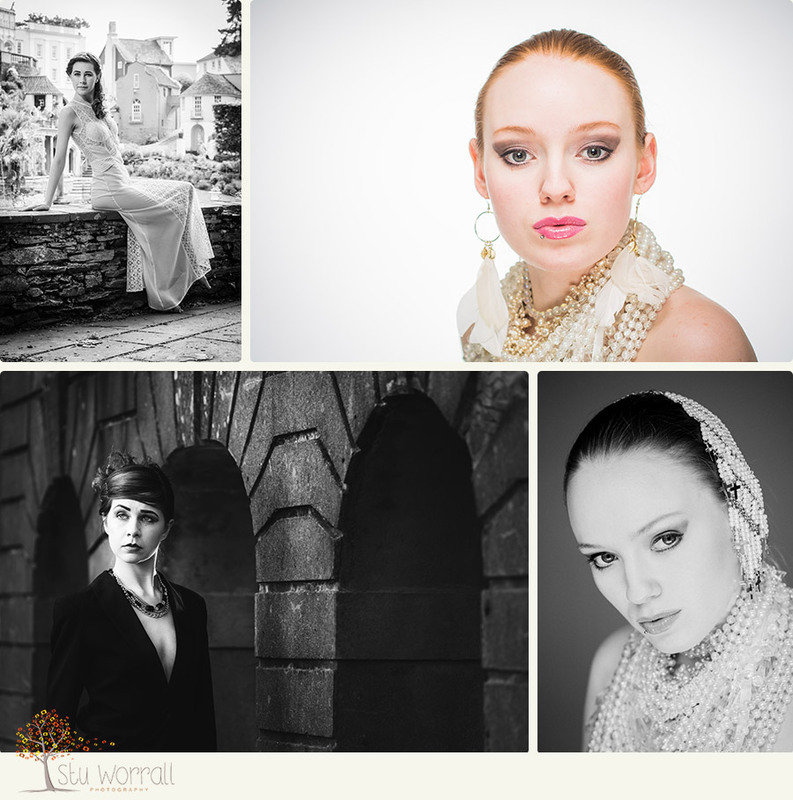 Here are some images from one of Damian’s workshops with the SWPP and from our MMOS sessions. Note, I can’t really take credits for these images as they were setup for our training days but you get a glimpse of some of my work, I hope! Another milestone… Our third daughter Sofia Rose was born this Summer which was a reason we held off booking too many weddings early on this year. It also meant I lost my assistant (wife) Sarah, who organises the formals and catches details behind her own camera. Luckily my apprentice daughter Katie stepped up to the mark and covered the weddings Sarah couldn’t get to. Katie also has a camera eye for detail that I’m already jealous of so thanks to both of them for supporting our business. Its turning into a real family business!! This was Sofia at birth (I had to take the camera!) and after two weeks. Prior to photographing our couples weddings we invite them to take part in their engagement shoots which can be at the venue or somewhere local. I always find that those who take part in the shoots are more prepared for their photography experience on the day and are more relaxed and enjoy it more. They also get a unique Signature Board with one of their images on and the guests get to sign messages around the white mount. Something to cherish and hang on the wall after the big day is over. Onto the images I took throughout the year! A little bit of Craxton Wood Hotel’s gardens. A trip to the lakes for some stunning scenery with two good friends who asked me to cover their wedding. I also did a bit of second shooting for a good friend Steve Hale this year. This wedding was at the beautiful Peckforton Castle and we covered the full day for two wonderful families. We already supply the exquisite Folio Albums and Jorgensen but this year saw us adding the internationally renowned Queensberry to our list of suppliers. This is what they have to say about their albums but check out our samples to see them in the flesh. We all have unique stories to tell: events that shaped us, special times that define who we are. Our memories give our life meaning – and yet they fade over time. Queensberry makes your special memories unforgettable by crafting them into beautiful books and wedding albums, to reflect with, enjoy and share forever. Your most special days, and the photographers who capture them, have been our reason for being for more than forty years. So! Onto the Weddings which I’ve split into sections this year to give a bit of variety! Whether its Bride or Grooms everyone needs them and its usually the ladies who have the sparkliest ones! I’m always blown away by what Florists manage to put together then have them last through the whole day and end up (mainly) in one piece. Having a background in Bonsai I can appreciate the art in putting together a display that matches colours with style and this year we had a bouquet with a difference, a hand made brouche bouquet where many of the jewellery items were from loved ones. The dress is such an important part of the brides day and probably one of the most important purchases for her. What better way than to capture the beauty and style of it both before it meets the bride and after. I always love the challenge of finding somewhere different lay or hang the dress to show it off to its best. This can either be the most stressful or relaxed part of the day for the Bride and Groom. Some sit back and enjoy it and others dive in headfirst but you can always guarantee we’ll get great pictures of everyone coming together to make the day extra special! So much effort goes into a wedding and our brides and grooms outdid themselves this year from signing guitars, flower seeds favours and giving out Creme eggs at Easter they all make it individual to the day. So many different locations this year dotted around England and Wales. A couple of the groups we had this year who all looked amazing, as you can see! Whether fruit, sponge, chocolate or cheese, the cakes all looked amazing! Kate and Jamie decided they wanted a Sopranos inspired photo setting up which mirrored one of the lasting images from the program. We were a little tight for space at the venue but they loved it! The image is below with Jamie looking cool in the chair with a tumbler of Bacardi at the ready. March saw Flintshire getting some of the worst snow on record. Luckily we were able to get to Sarah and Andrews venue at Madeley Court Hotel in Telford a day early to ensure we were there to capture their big day! What we did get was a magical snowy winters wedding and a great (if cold) Bride and Groom who were up for braving the cold for some outside pictures. Ness Gardens is a treat to the senses and is even better if two of your great friends are getting married there. 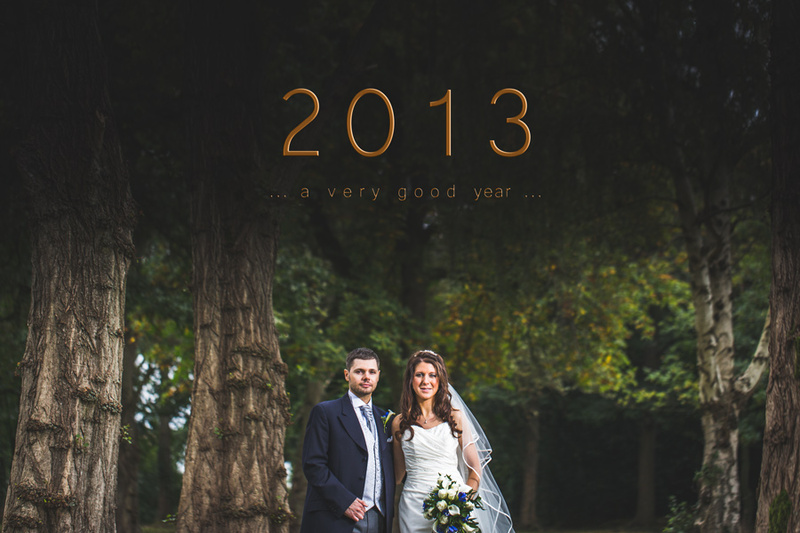 We got some stunning images from here on a bright summers day and had a wonderful time as photographers and guests. Plas Dinam Country House – You can hire the entire house for the weekend, which means the bridal party can stay over the night before and take in the surroundings then go where you please on your big day. There are so many photo opportunities at the house that we were spoiled for choice and we had a really fun couple to work with on the day. St Mary’s Church and the Springfield Hotel were the venues for Katie and Tom’s wedding. With the church having some of the oldest oak beams it makes for an impressive venue and a wonderful day. They speak for themselves but putting them in context of the day is always good! Signals the end of a wonderfully busy day and the start of the relaxed romantic night! First dance done and its time for the guests to let their hair down! This year we had a Wintry Christmas wedding to cover at Tre-Ysgawen Hall for Bethan and Trystan. We managed to dodge most of the bad weather and got some fantastic pictures of the day which are soon to be delivered to them so here’s a few sneak peeks.